Students are responsible for their own transportation, lodging and meals. 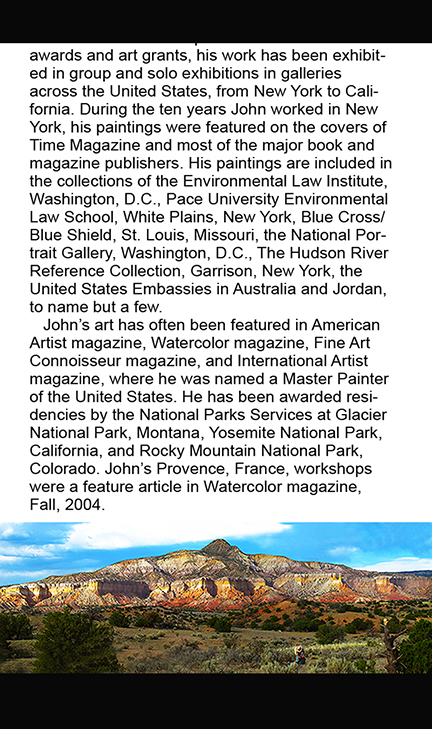 materials and equipment needed for the workshop and other important information. 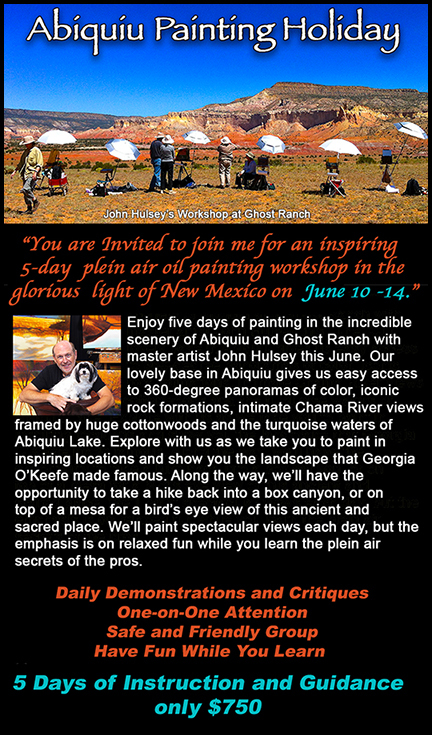 John Hulsey's video of Ghost Ranch, Rio Chama and Abiquiu, New Mexico taken during his plein air oil painting workshop. 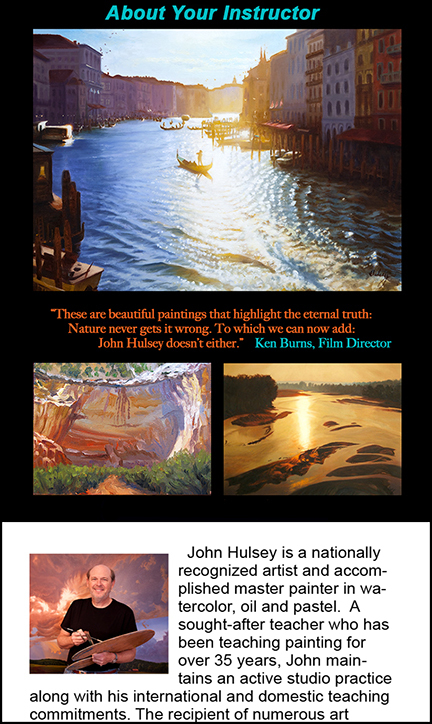 Click the button below to add the Abiquiu, New Mexico Painting Holiday with John Hulsey FULL PAYMENT to your wish list.